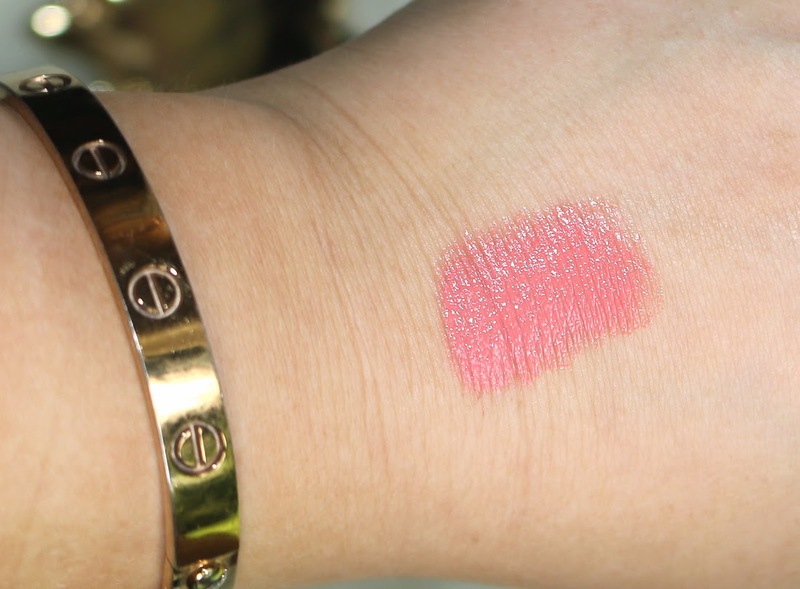 I stopped by Sephora during my recent trip to Sydney and one of the items I picked up was this stunning YSL lipstick. 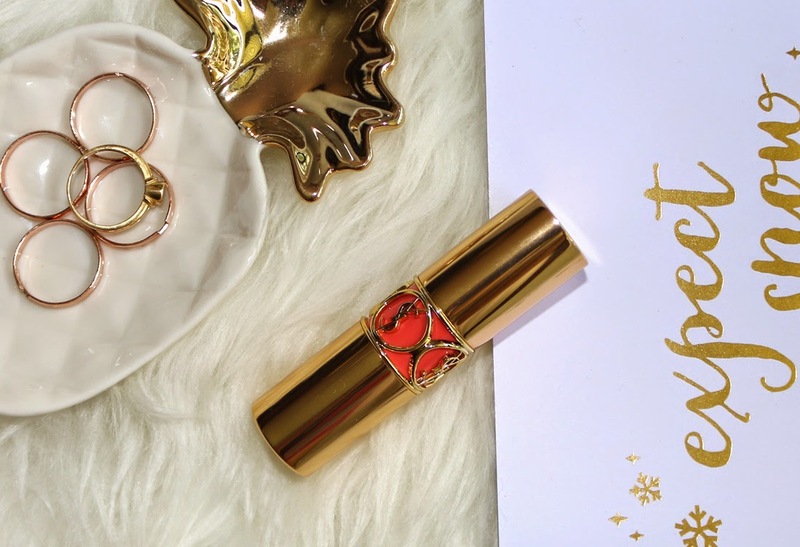 I just can't seem to stay away from these gorgeous gold tubes of creamy lip colour and shade 13 caught my eye so I couldn't help but throw it in the cart. YSL Rouge Volupte lipsticks are famous for their silky smooth consistency and bold pigmented colour payoff. It's rare to find a lip colour that encompasses both qualities so well. What attracted me towards this shade was that it is the perfect balance between playful and wearable. 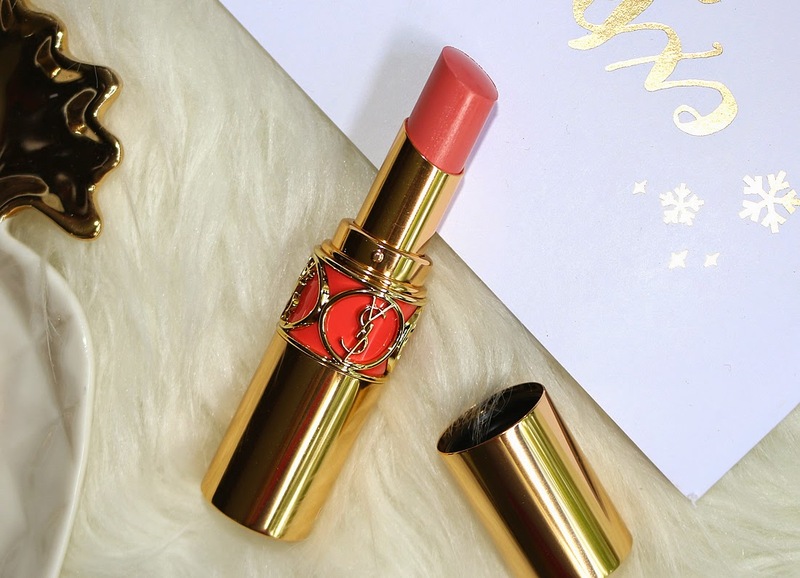 It's fun coral hue makes it the perfect colour for Summer while it's still somewhat muted and could be worn on an everyday basis. The swatch below is a mere swipe of this pigmented goodness so without a doubt you can tell that the quality is outstanding. As for this lipstick range in general, all of the colours I own have been amazingly pigmented. The consistency for the entire collection is smooth, creamy and lightweight. Not to mention that the colour selection is amazing with everything from nudes to bold reds and barbie pinks to edgy purples. It all seems so perfect, so what's the catch? Well it is definitely on the pricey side and a luxurious splurge item at $55. YSL is available at the counters in department stores so traditionally Myer and David Jones but now Sephora for the Sydney siders. The final verdict is that I would definitely recommend this product if you are looking to treat yourself or your boyfriend is begging for gift suggestions of your upcoming birthday. It is something you will definitely get your use out of since the formulation is so moisturising and smooth, making it easy to wear and apply.